Home is where the Heart(h) is! The kitchen really is the heart and soul of the household. A well-operated kitchen and pantry is the foundation for preparing great meals. That’s why it’s vital to know where your supplies are located and to have a work area that’s up to snuff. 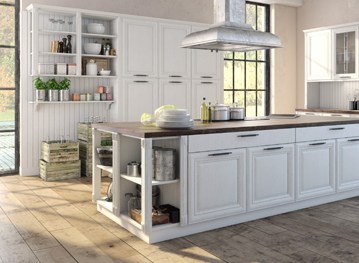 We discuss and outline your personal kitchen needs. We examine every corner, drawer, cabinet, pantry, and appliance area. We inventory your silverware, utensils, pots, pans, plates, glasses, cups, pantry items, spices, refrigerator products, bottles, coffee mugs, canisters and under sink cleaning agents. We get rid of the expired and undesirables. We keep potential products that can be repurposed. The fun begins when we put kitchen items in logical areas. We strategically place everything based on the feedback you provided during the our initial discussion. We make notes of things you will need to do to maintain your organized kitchen. We make a list of the items that you might want to purchase to help your new system operate more smoothly. Say AMEN to your Cluttered Kitchen of the past and experience the joy of cooking in your newly clean and organized space. Need Professional Assistance Organizing your Kitchen?